QEH chief executive officer Dr Dexter James. Barbadians are being promised that none of the services they’re used to getting at the Queen Elizabeth Hospital (QEH) will be cut. 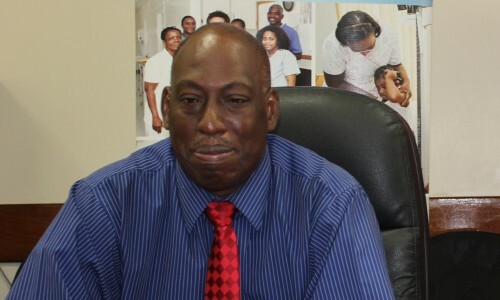 Chief Executive Officer Dr Dexter James says discontinuing existing services is not an option. Speaking after a presentation to the hospital’s Stroke Unit by CIBC First Caribbean International Bank today, he assured that patients will get the usual high standard of care. “We have taken austerity measures in minimizing and eliminating waste where it can be,” he said. James also called on Barbadians stop focusing on the negatives and rally around the institution. I wonder if the toilets will have seats in the wards , and all those leaking pipes fixed . tell me how that will happen when your budget has been slashed? Wunna really think people stupid. What do you call not having ventliators?